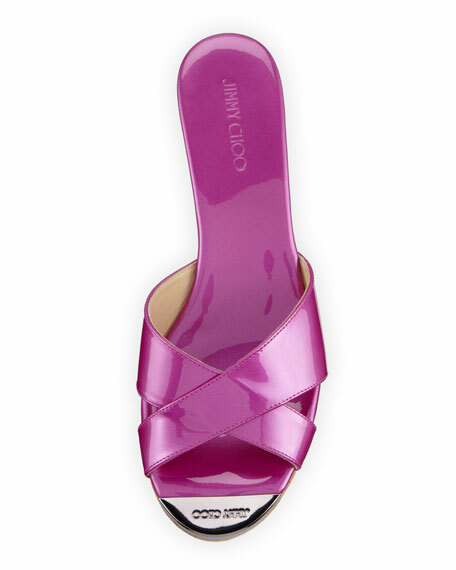 Jimmy Choo shimmery enamel patent slide. 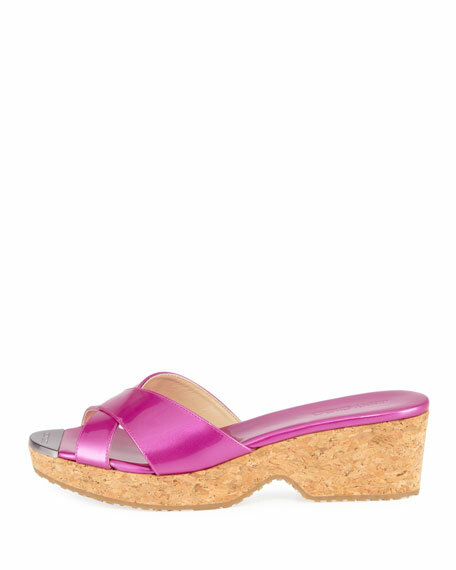 2" cork wedge with 1" platform; 1" equiv. Open-toe with pewter logo-engraved plate. Star-embossed rubber outsole provides traction. "Panna" is made in Italy. For in-store inquiries, use sku #203475.